Eterna Soleure. Doesn’t exactly slide under a shirt cuff, the 7751 is just too tall, but I still wear it to the office because it’s just so darn pretty. This is about as hard to photograph as a Rado. A phone just doesn’t work. Henry’s pictures really do it justice. So a week in - and a fairly punishing week it was with five swims and/or surfs - and the Captain has lost a total of 25 seconds. 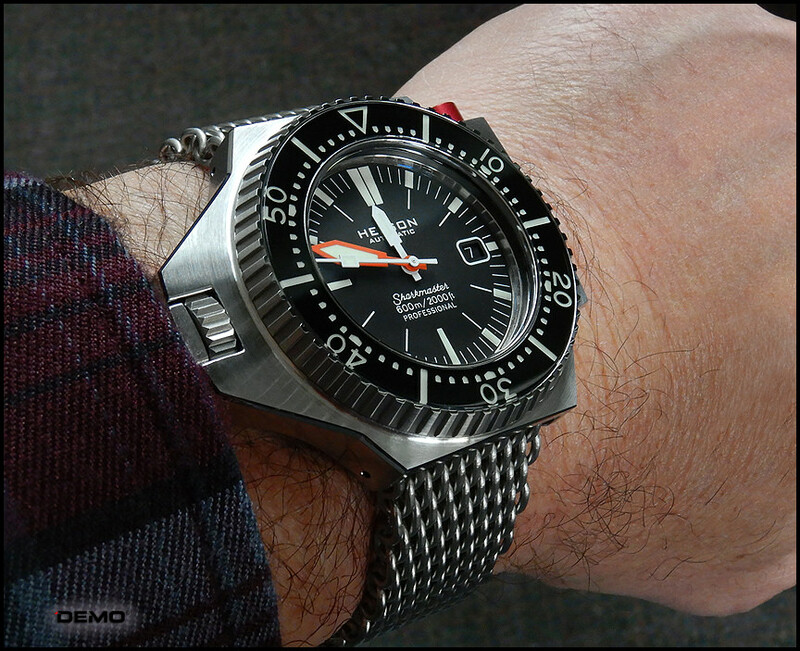 I will probably use a NATO next time around in the water. Rado could do better with the bracelets and clasps. They could put some springs in them or at least offer some kind of micro adjustment. The Zodiac bracelets with their spring mechanisms are awesome in the water and all the others feel like, well, bracelets. A recent acquisition, with strap by DeBeer.